My friend hosted a busy bag swap. What is a busy bag swap? A bunch of ladies get together and trade activity bags. 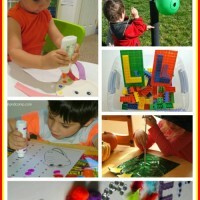 These are awesome to have when you need to occupy your little ones and they’re usually learning activities. I love to use them for my toddler and preschooler while I teach my eldest daughter. I’ve been looking for a fun pattern activity for my 2-year-old son, so I made one for the busy bag swap. I had small colored wooded cubes that we weren’t using so I put those in my busy bags and made these pattern printables to go with them. 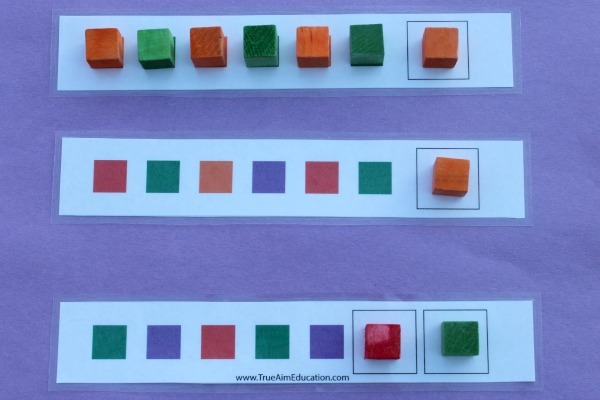 Children can match the colored cubes to the squares on the pattern strips. When they get good at matching, you can add the patterns that have squares missing. They might not understand it right away, but they also might surprise you! 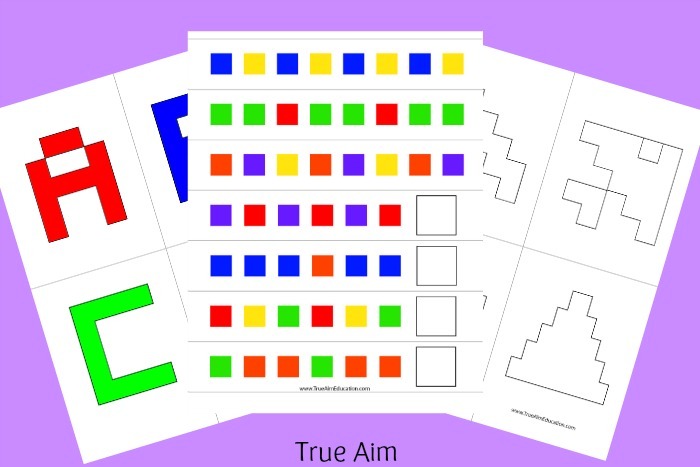 I’ve made different levels of difficulty so you can use the ones that best fit your children. 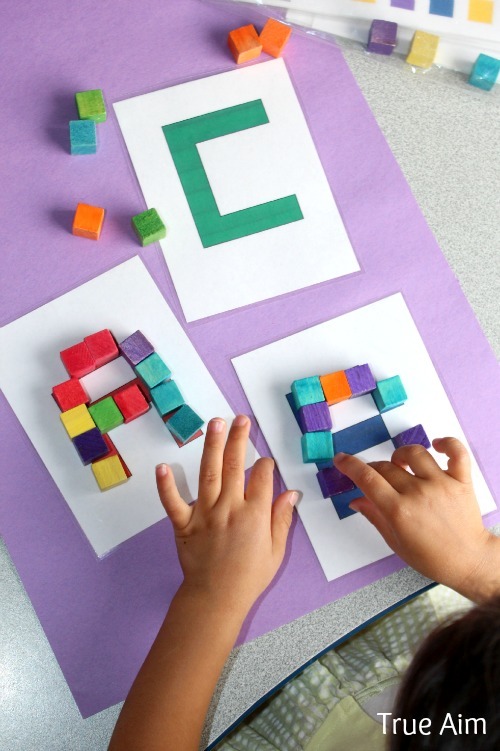 To reinforce the letters for my preschoolers, I’ve also made Alphabet Cube Puzzle Printables. 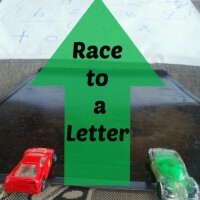 These help reinforce letter recognition and you can use them to support my Phonics Reading System. My daughter really liked making the letters she is working on in her phonics lessons with the cubes. 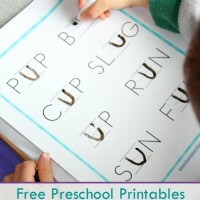 This is great for fine motor skills too. To add even more play value, I’ve made Shape Cube Puzzles too. 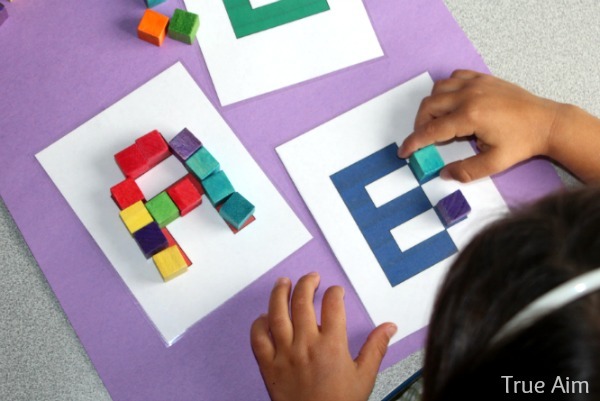 You can put a shape on the back of each letter to challenge your little puzzle masters and keep them busy longer. 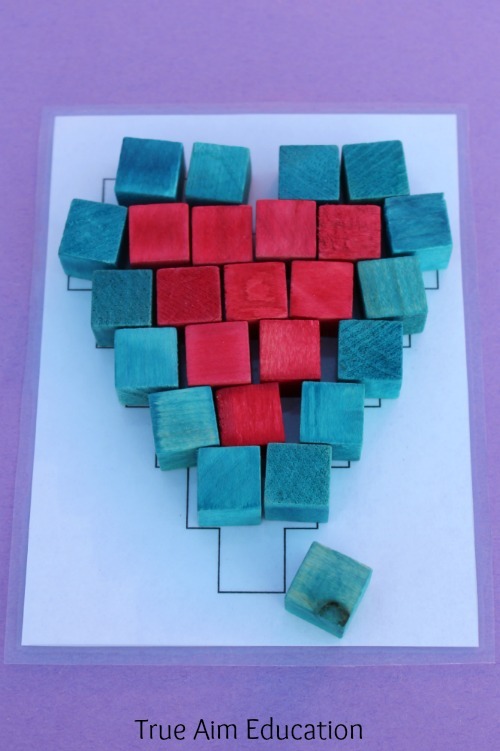 You can find the (affiliate link) little wooden cubes at any craft store. 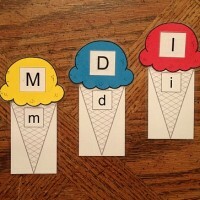 I suggest printing the puzzles off on card stock or laminating them to make them last. For our busy bag swap, I made 4 bags and traded with the other moms and went home with 4 different activity bags that I’ll add to my growing collection. There are 16 pages including the whole alphabet, shapes, numbers, and patterns. 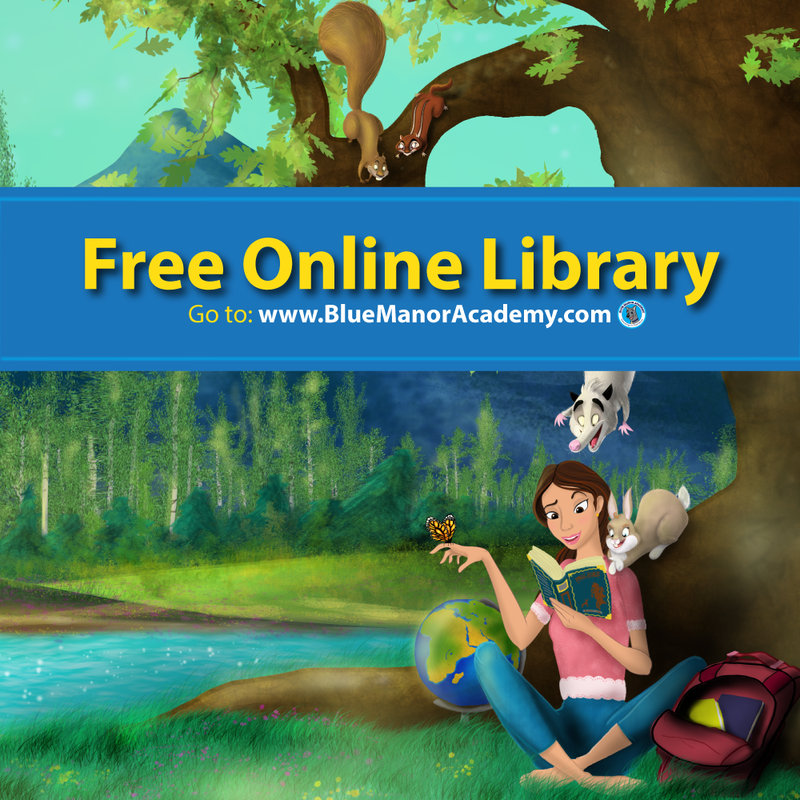 To download the free printables, click on the image above and save them to your computer. This is for person use only. Please do not share the link directly to the printable, but instead share this post. Thank you! Great share! I just pinned it. Thanks for sharing it at the #laughlearnlinkup. Love these! We have used our unifix cubes SO much since we have been homeschooling. Hi Heather, I am so glad you could use them and like them! Thanks for leaving a comment! Great Post. 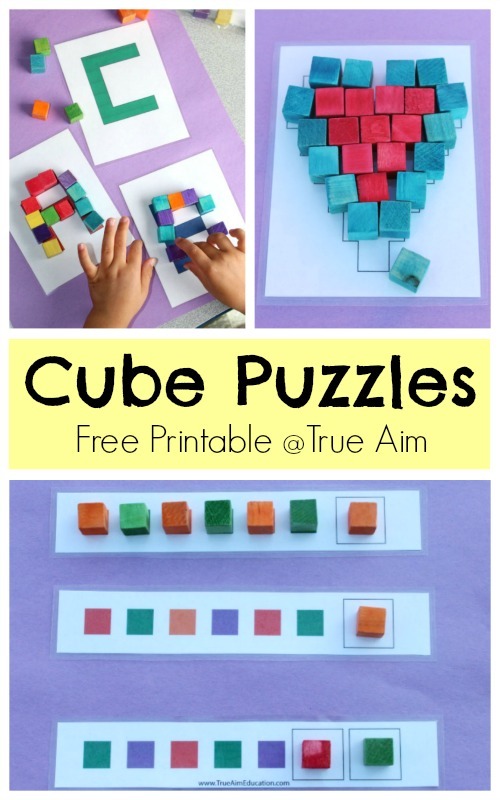 Im just confused as to where I can find the link for the free cube puzzle printables? 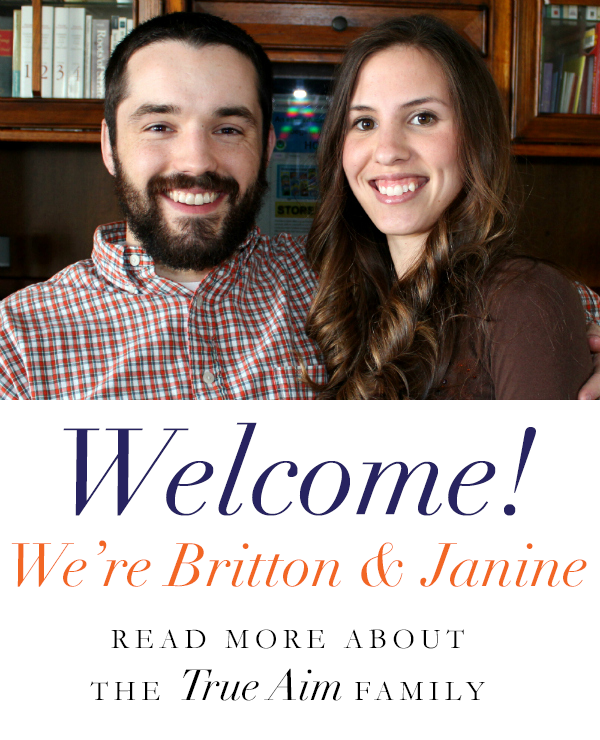 I would love the link, and have shared this on pinterest already!! How do I download the ABC block mats? I would like to use in my preschool classroom. Thank you! How many cubes are needed to take full advantage of each set? If you wanted to do the full alphabet, then a lot, but if you are only doing a few cards at a time then just one pack from the dollar store. Hello! What size blocks work best for these patterns? Thank you! I think the 3/4ths inch? They are just little wooden blocks I got from the dollar tree or craft store.